I am here because I want to share a story of a business that has failed and show what it looks like from the inside. Usually when you hear about a business owner’s failed business it’s only after they’ve made that business or another business a success. That I can assure you is not the case here. This is kind of a what’s not working now as opposed to a what is working now kind of story. Folks don’t try this at home (or work) please. Before I get started I would like to give you a little background about me so you don’t think I went out, got my certification and two days later started a personal training business boasting my transformation expert status. 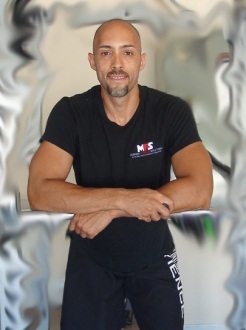 My interest in personal training started back in 1991 at the ripe old age of 21. Back then the idea of personal training as a profession was still in its infancy and certifications were a bit iffy and hard to find. Fast forward to 1994 when I started my first job as a fitness instructor at a Bally’s in downtown Chicago. I went through their “training certification” and was on my way. To be honest I was nothing more than an equipment cleaner that took body measurements and taught new members how to use the computerized machines they had. That job didn’t last for long. Fast forward again to 1997 where I took a job working in a gym in Puerto Rico, I worked there for a couple of years. I sold memberships, checked people in, cleaned, helped clients tweak their routines, taught new members proper exercise form, and spotted members that needed one. Fast forward again to 2002 which is when I received my first personal training certification through ACE and graduated from massage therapy school all in the same week. I immediately went to work for one of the best Physical Therapy companies in the Chicagoland area as a massage therapist and personal trainer. In the three years I was there I learned a ton and am grateful for that experience. I went on to become certified through NASM. 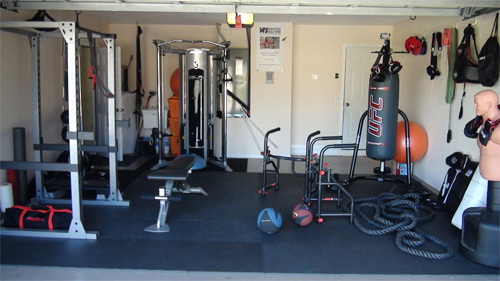 I have worked at X-Sport, David Barton’s Gym, and Life Time Fitness all in the Chicagoland area. I went out on my own in 2009 and did well for myself. I continued to educate myself through books and certification courses one of which was through the MMACA and NSCA. I never had to really do any marketing because a lot of people knew me as well a couple of my former managers and therapists in the Physical Therapy clinics referring their patients that were graduating from therapy to me and let’s not forget client referrals. I wasn’t much of a salesperson. I would assess the client, lay out a basic plan of attack, take them through the some of the exercises we would be using in their program, tell them the cost of training, and that was it. That was my “formula” and it served me pretty well from 2009 until 2011 when we decided to move to Brandon, FL because, the weather was so nice and Chicago’s is so bad. My wife also has a brother that lives about 1 mile from where we live now so it works for her. Before we moved to Florida I actually did have a plan. I was going to teach Krav Maga at a school in Wesley Chapel because the owner was interested in me doing so and get a job in a gym for an income and while began to get to know people. Well, the owner decided not to hire me but I did get a job at an LA Fitness in Brandon. I was there for a while until I decided to go out on my own again thinking it would just work again. I had all of my equipment from Chicago set up in my garage and it seemed like it was going to be a great scenario. There were just a few problems that I thought would work themselves out with a little time. I still didn’t really know anyone, I didn’t know how to market myself here, we weren’t located in the most convenient place, my wife was running her dance studio in Chicago remotely which took a lot of time, and we were sharing childcare for two small children. If I had 5 hours a day to train clients and work on my business I was lucky. At some point I realized I wasn’t doing a good job of finding new clients so I decided to go to a fitness business convention where I thought I could get a few ideas to get at least one or two new clients in my door. The convention was held in Orlando in October of 2011 it was there that I met Sam Bakhtiar aka 7 Figure Sam aka Dr. B in person for the first time. I thought to myself if he’s attending this, then it is definitely going to really help me out. It turns out the convention was nothing but sales presentation after sales presentation and of course an opportunity to be considered for their VIP program (or whatever they called it). Financially I was a total bottom feeder and couldn’t afford anything anyone was offering. Needless to say I left there a bit disgruntled but, what I did see there were lots of trainers doing well, which gave me hope. I just felt like I needed the “secret success sauce”. Shortly after this waste of a weekend I began to study everything I could get on the internet for free in terms of building a successful fitness business. This eventually led to me buying some of the programs and courses. I bought a lot of fitness business courses thinking, this is that one thing that is going to bring it home for me. I kind of became addicted to learning things that I had never seen before. I have to admit though, there were times where I was just a sucker for decent to good and other times great copy. I can honestly say that between business building material, fitness technique material, different types of services, and new pieces of equipment I spent somewhere around $35,000.00 in a year’s time. Guess who didn’t know about all that spending? Guess who knows now? Guess where most of that debt still is. Still on a few maxed out cards. I’m not proud of it, but it’s the truth and I am only telling you because this whole article is about me helping others not make the mistakes I’ve made. Pay attention to what you buy folks, and use as much of it as you can before you buy something else. Here is another little piece of insight in terms of my personality. I hate not knowing things and I hate not being able to do something, and I love to study and learn stuff. So picture this now if you will. A guy who loves to study now has a steadily growing collection of study materials with very limited time in general. He also needs to be out making things happen within this very limited window of time. Can you guess what this guy actually spends more of his time doing? That’s right, studying instead of doing. I’m not going to insult anyone’s intelligence by giving success advice but, if all you do is study a subject and don’t get out there and apply what you’re learning as your learning it, the stuff you’re learning will do you no good (duh). So, what did I actually get out there and do you ask? Well here is a list of most of the things I did get out there and do. I rented space at Powerhouse Gym in downtown Tampa (a beautiful, beautiful place) hoping a better location would help. That turned out to be a bad choice without having an established client base. I went on Bay Shore Drive where lots of people jog and bike ride giving out bottles of water with a sticker of my information on it and brochures to all that moved slow enough for me to be able to hand one to them. I bought a mailing list and created a direct mail piece using some of Dan Kennedy’s material (I really spent a lot of money on his stuff). I posted lawn signs on the side of the rides. I put brochures in fitness books at the book store when the employees weren’t looking. I went early to newspaper machines and put post cards in the newspapers. I put flyers and post cards on house doors and cars in public parking lots and streets. I even had an app made for itunes and android. Those efforts got me nowhere quick. At the time of writing this post my equipment is in dance studio my wife recently opened in Brandon, which is where I currently train some clients and film exercise videos for my new blog site. All said and done I truly love fitness and what it can do to change lives. I love what I’ve been able to do to help others. 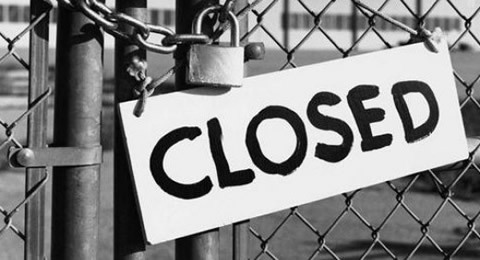 My business is incorporated until the Articles of Dissolution clear and then Murray Fitness Solutions will Rest In Peace as I work to pay all of my cards off, provide much better for my family, and try to regain the trust of my wife. However, I have not given up completely on fitness yet. I will be returning to LA Fitness soon and be working with my old training manager at a brand new location if I don’t get a totally different type of job before cooperate makes a decision on rehiring me or not. I am currently a kickboxing and boxing trainer at Title Boxing Club, I still have my new blog website where I am an affiliate for other peoples’ products, and I plan on creating a fitness product or two of my own. In conclusion, I don’t really have any good advice on how to run a successful fitness business because if you haven’t noticed I am not the poster child for “The Secret Success Sauce”. What I will say is this. Make sure the person you are in a relationship with truly supports your vision, make sure you have a relatively clear vision for them to support, know your numbers, spend more time out there doing, and for god’s sake get before pictures of your clients. If you are still reading thank you for your interest in what I’ve had to say. Best of luck to you! Obviously YOU don’t know about spending, homie. Dropping $35k in a year like you’re making Scrooge McDuck money. Financing 101: Don’t spend more than what you make. Beautiful space = $$$. People have gym memberships at clubs with sauns, pools, flat screen tvs, and juice bars and STILL don’t go. So basically… he bought paper materials and distributed them all over town in weird/annoying places like parking lots and inside books at Barnes & Noble. Riiiiiight. And WHY the hell would you have a phone app created with 0 following whatsoever? WHY?!?! There’s 1,000,000 info products out there how will yours stand out? Do you think if you build it, they will come? It’d be hard to imagine someone like Sam B., Alwyn Cosgrove or Steve Cabral teaching people that to have a lucrative business…. from their FREE material provided on the internet. And that’s what bugs me… the fact that none of the aforementioned stuff would’ve been advised by those guys in the first place as business building cornerstones. “XYZ boot camp” tactics make more sense. Hope Ed pulls through as a fellow trainer that has been through rough patches, too. I appreciate the article, Ed. $35K though in one year though! I think every successful business person can say they have failed ten fold to how often they succeed. The question is, is he going to get back up, learn from his failings, and do the things that are necessary to succeed? I just ain’t buying this “I’m a failure, mentality” and I think it’s time for a lot of you trainers to take responsibility for your own actions and stop blaming others. “XYZ” boot camp and their founders and whoever else you rely on as resources did not cause you to fail. You failed because you didn’t do whatever it takes and realize you are going to get knocked down and it’s your job to get back up and make adjustments. Too many trainers read but don’t implement. I will end on the simple fact that the world is full of the 80/20 rule. 80% will not do well and 20% will. This is not because they are not capable but because they have a “I can’t” mentality.